Your new backpack has enough storage for essentials to keep you out all day without wanting for anything. 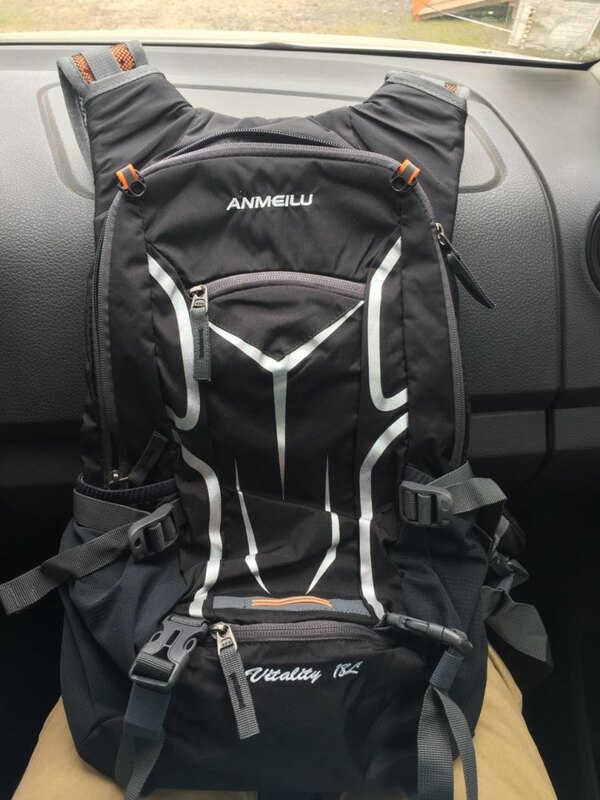 Plus - your ANMEILU 18L Waterproof Outdoor Backpack comes with an optional hydration bladder. Stay fueled and hydrated. Backpack makes a great value compared to other packs in its category. Don’t let the slim profile fool you, it holds plenty of gear and supplies. The hi-tech material repels water, wicks away moisture to keep you feeling fresh. The reflective striping keeps you visible even when you stay out after the streetlights come on. ⇨ The padded and breathable mesh keeps you comfortable. Take it on your next hike, long-distance bike ride or camping. Carry snacks, electronics, and hydration bladder. ⇨ The bladder is made TPU for a fresh clean taste. The straw is geared with easy on/off valve. The low mounted drink straw provides sufficient water pressure. ⇨ Customize your pack for super comfort. The adjustable chest strap, shoulder straps, and waistband will make this pack conform to all body styles. This 18L backpack is specially designed for bicycle lovers and walkers. With an ergonomic design, this backpack gives you a more comfortable feeling. Made of high-quality and safe material, it is durable for long-time use and will surely contribute to your fantastic outdoor experience. 18L cycling backpack (includes all compartments), made of ultralight, water-resistant and tear-resistant nylon fabric. Special hole design for water bag (water bag NOT included). Adjustable shoulder strap, chest strap and waist strap to fit your needs. Detachable pouch for storing your cellphone. Suitable for outdoor activities like cycling, camping, mountaineering and hiking. Item color displayed in photos may be slightly different on your computer since monitors are not calibrated the same. Please allow 1-3cm (0.4-1.2") difference due to manual measurement. Excellent product, the same as requested. Took 22 days to arrive in Chile. This is really amazing! 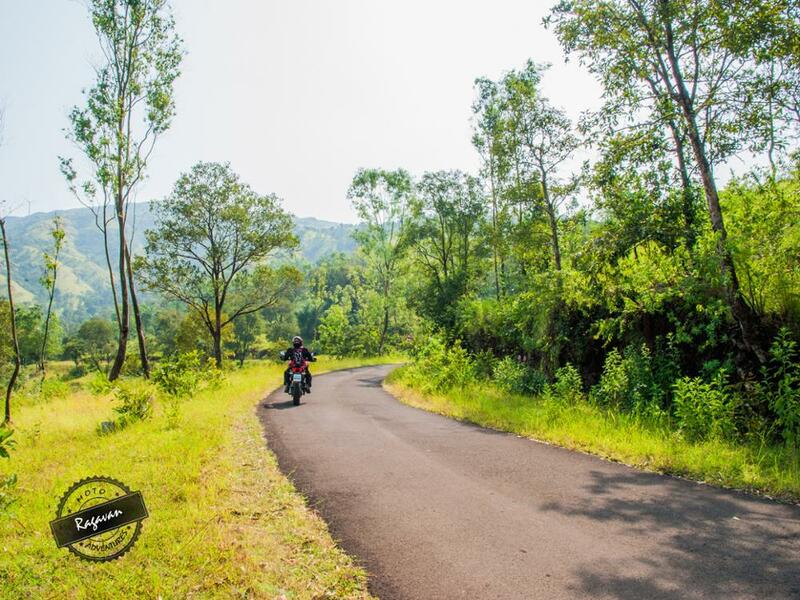 I am a dualsport motorcycle tourer in India, always riding in hot weather conditions. 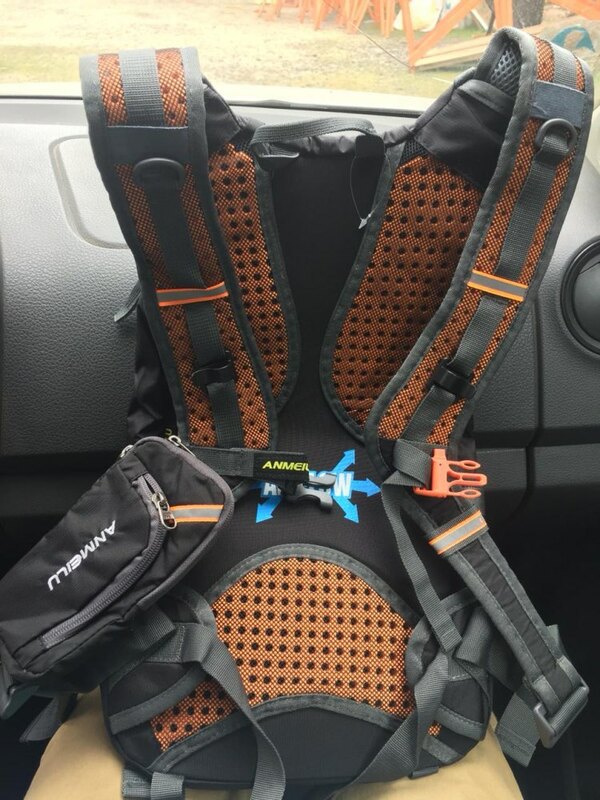 I wanted a backpack that would be good in ergonomics, and that would allow me to use any bladder with it - not just the bladder that comes with it. I ride a Ducati Multistrada, hence I purchased the bag in the red-black color theme - it was really great both in looks and ergonomics. 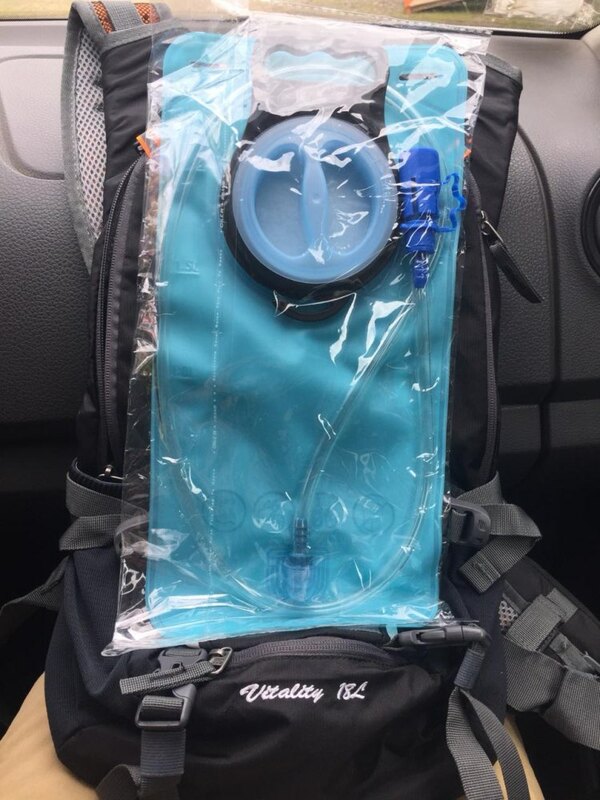 I didn't purchase the bladder that comes with this backpack, instead I purchased a 3L one from Naturehike brand on AliExpress. That worked really well with this bag. Take a look at the pictures. I strongly recommend this product to anyone.